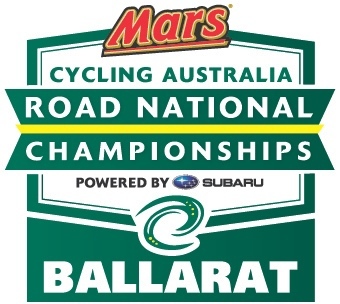 The Cycling Australia Road National Championships are being held in Ballarat from 8 to 12 January 2014. It is the eighth time the event has been held in the Ballarat region. Over the four-day carnival, it will feature three major cycling disciplines – time trial, criterium and road race in the categories of elite men, women and under 23 year old men. 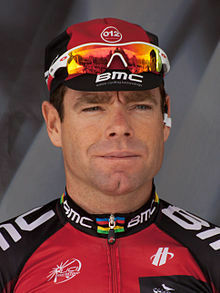 Some of the Australia's best cyclists are registered to take part in the Championships including 2011 Tour de France champion Cadel Evans. Some of the other cyclists to take part in the Championships include Matthew Goss, Simon Gerrans, Luke Durbridge, Matthew Hayman, Richie Porte and Chris Sutton, Rohan Dennis, Steele von Hoff and Lachlan Morton. The event will also see Australia's only professional continental cycling team Drapac debut its full strength outfit including former pro-tour riders Jonathan Cantwell, Will Clarke and Wes Sulzberger and Travis Meyer. Day one of racing will see the 45 km time trial set among Burrumbeet's rolling farmland. It will test each cyclist's mental strength as they individually ride one lap against the clock. Held in the late afternoon and early evening in the centre of Ballarat, come along and join the excitement of day two by watching the Criterium. Cyclists race in a group, riding up to 40 laps of the 1.1 km course. The final two days of competition take place in Buninyong. It's idyllic but challenging 10.2 km semi-rural circuit is regarded as one of the top road racing circuits in Australia. Cyclists race up to 183km around the route will include "King of the Mountain" section on Mount Buninyong Road. During Saturday the Under 23 Men's Road Race and Women's Road Race will be held. On Sunday will see the conclusion of Championships with Elite Men's Race, which will be broadcast live on SBS1 on Sunday between 2.00pm to 5.00pm. If you like cycling and can't afford to go to the Tour de France, head to Road National Championships in Ballarat to view some of Australia's best cyclists from 8 to 12 January 2014.